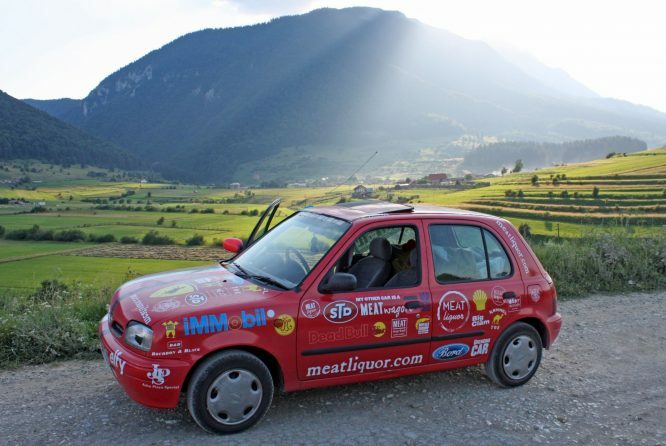 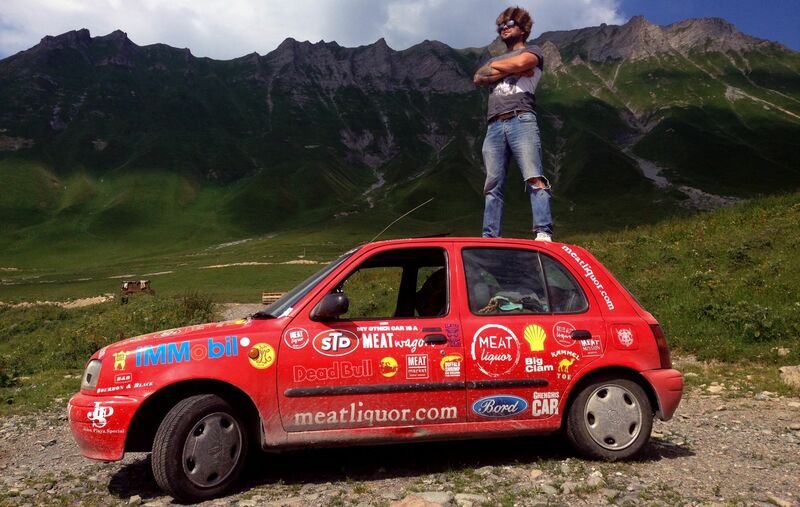 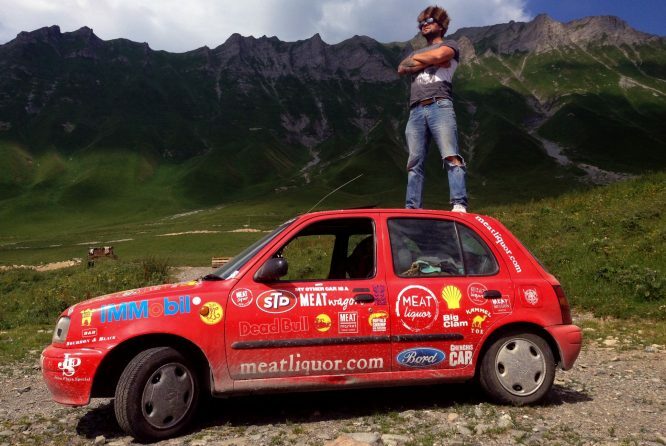 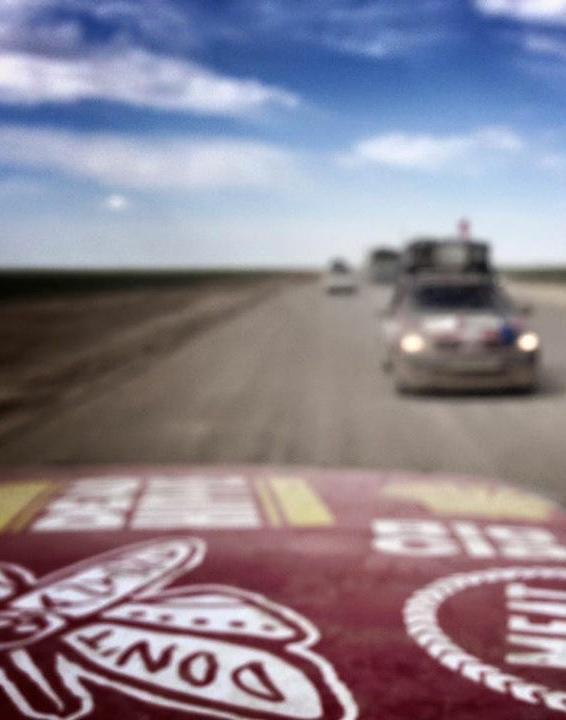 The Mongol Rally is a race of farcically small cars that hoons its way from London to Mongolia every summer. 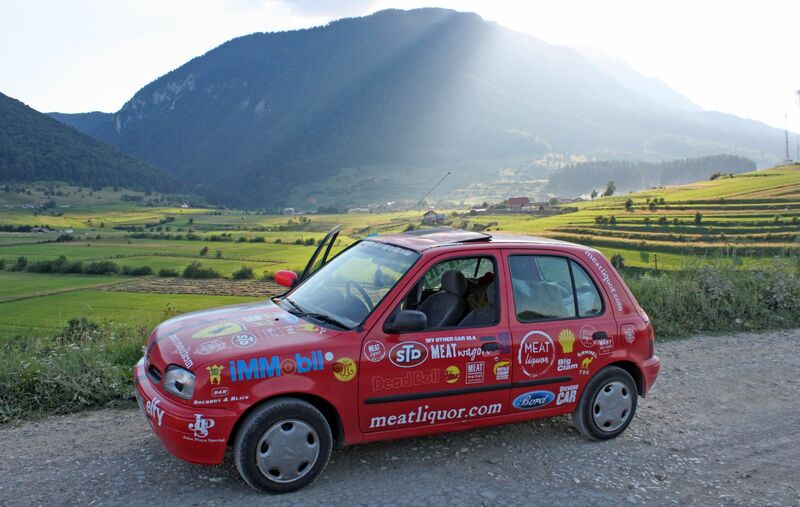 MEATliquor wanted to sponsor a former employee in his quest to drive a 1996 Nissan Micra to its inevitable destruction, and they asked us to do the decals. 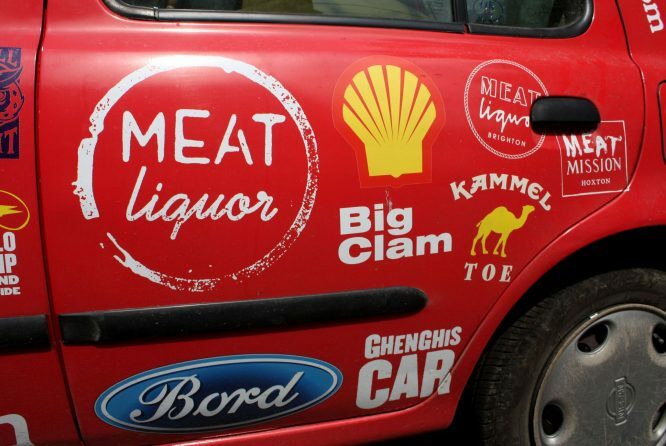 We took inspiration from 1980s F1 cars, with logos of beer, cigarettes and motor oil plastered across them. 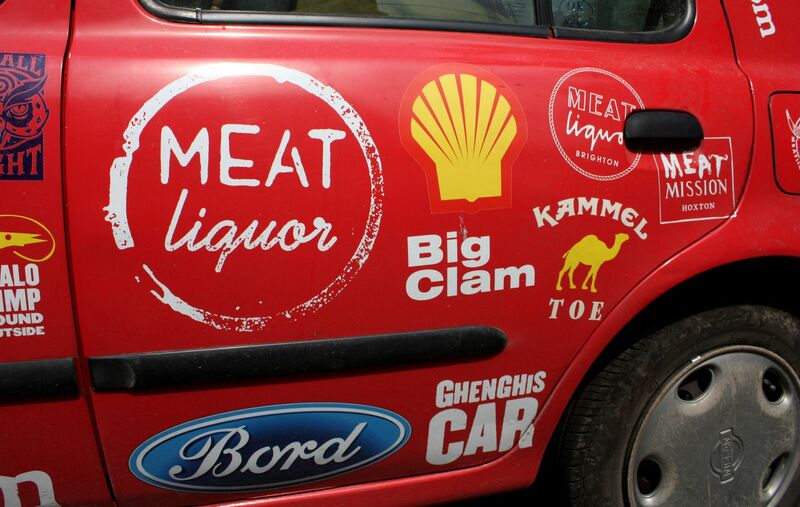 Not shy of using a pun, we suggested remixed versions of these old logos - iMMobil, John Playa, elfy, Dead Bull, Bord. We had a lot of fun on this one. 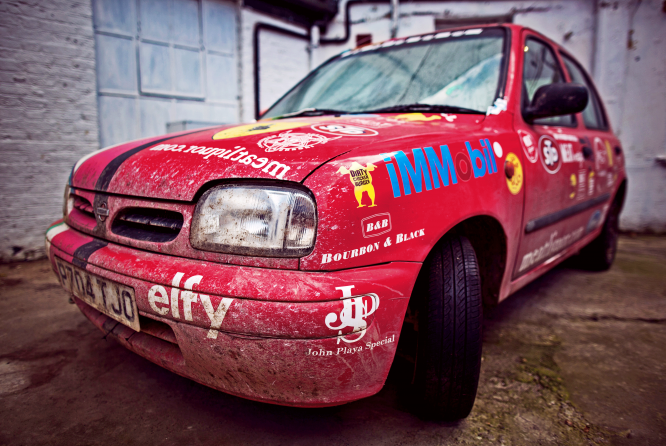 We are pleased to say the Micra made its way across the finish line, held together with not much more than sellotape and good will, and it now sits proudly in the forecourt of their Islington restaurant.